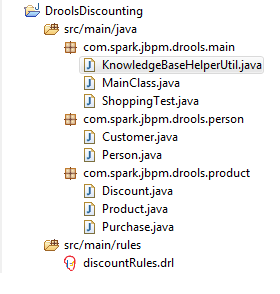 Hello All, this example give a clear idea about the jboss drools concept in writing the rules configuration files. 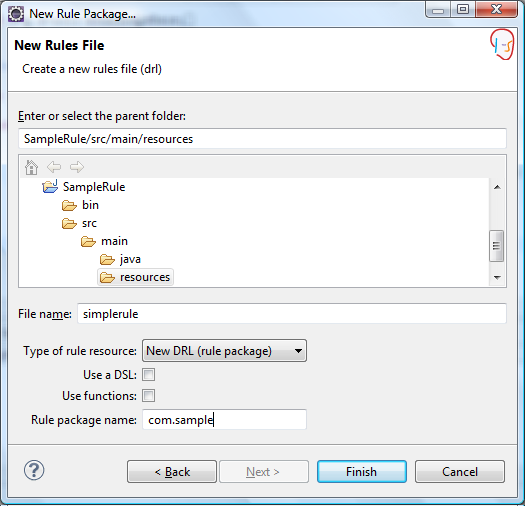 Rule engines allow you to say “What to do”, not “How to do it”. Following example applies discount on product purchased based on customer from particular city. return "Product [productCode=" + productCode + ", productName="
Business processes: Represent what the business does. Business rules: Represent decisions that the business does. so by delegating the decision to drools we can improve the business process execution. 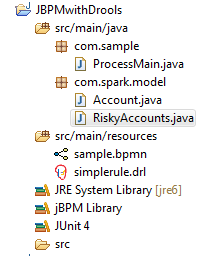 create a sample jBPM process. now lets integrate drools code to make our process little resilient for that we need to create a drools rule file as below. Now lets create two pojo classes as below. Now its time to trigger our process combined with rules(drools) that we coded as follows.